At The Beauty Coppice, I want you to experience that all-round feeling of well being, therefore I provide a wide variety of massage treatments to tailor to your indivdual needs. I have everything from a relaxing Awarded Well Being Massage to more specialist massages to aid specific conditions like Pregnancy, manual Lymphatic Drainage or Myofascial Release and many more. All of the massage treatments are delivered in a professional, calm, relaxing atmosphere in which you can forget all the stresses of daily life. My Massages are tailored to your needs. You can choose from a Full Body, Neck Back and Shoulders, Legs, Back or Hand and Arm. Our massages can be from 30-90 minutes depending on the type of massage. On your first visit you will be required to complete my medical questionaire and to keep me informed of any medical condition changes. Here is a selection of Remedial Massages which I offer, remedial massage dates back many years in alot of cultures and is beneficial for all types of complaints and conditions from muscular injuries through to headaches and stress, each type of massage is different and ideal for a certain person like pregnancy massage for example, so your treatment is tailored to your personal requirements. For many clients they have a variety of massages from one week or month to another as at the time a deep tissue may be right for them and on another occassion Lymphatic drainage will be right for them. Clients whom utilise their physical bodies alot would benefit from a rolling massage appointment of Remedial Deep Tissue, Lymphatic Drainage, Myofascial Release and Thai massage. Remedial massage can be used to effectively treat All chronic muscular aches & pains including Bach ache, Hip problems, Sore neck & shoulders, Headaches, Sports injuries, Pregnancy, sprains and strains. So if your unsure book a appointment and I will work out which is right for you. 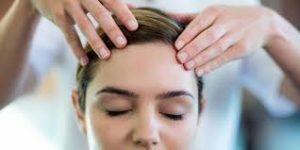 The massages below can be performed as required and may be more than once a week at the beginning and then can be performed on a weekly or monthly basis to maintain well being. 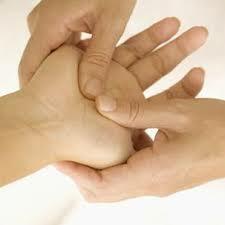 Deep tissue & Sports massage help to refresh and relax muscles, increasing the blood and oxygen flow around your body. This gets rid of toxins in very sore and strained muscles, which helps them to strengthen and heal. . Deep tissue & Sports massage is often used to treat people who are recovering from accidents, and for sports injuries as it increases blood circulation in muscles that are underused, relieves chronic muscle tension throughout the body, and can also break down scar tissue and “knots” deep in the muscles. Deep Tissue & Sports Massage uses Trigger Point, Palpation, Neuromuscular Techniques and hands free techniques which works on the deeper layers of muscle tissue. Using firmer strokes and more pressure than other treatments, with deep pressure that concentrates on particular areas and is often used medically by physiotherapists, chiropractors and so on. This is a specialist massage developed for this special time and should be the only massage performed on a pregnant lady after 13 weeks of pregnancy. It may help to alleviate symptoms & conditions associated with pregnancy. It can help prepare the body for physical and emotional changes and can be of enormous benefit to both the mother and baby. You will need your midwifes permission for your massage, but please call to discuss. This massage is ideal as a gift during this special time. MLD is such a gentle, rhythmic flowing massage which can have powerful cleansing, relaxing, pain relieving & immunological effects and can be assist a wide range of physical conditions like swelling to the treatment of lymphoedema, or just to improve the lympth system. Using very light pressure and various techniques to move lymph many clients fall asleep as they find this so relaxing. Great for someone whose is recovering or has persistant viruses or colds. I am trained in the German Vodder techniques. A specialise massage used to treat the Fascia, which is a tough tissue that surrounds every muscle, bone, organ, nerve, and blood vessel in your body. Myofascial release is a stretching technique that releases tension and therefore pain deep in the body. It is used by physiotherapists to treat patients with some soft tissue problems and can be called “connective tissue massage”. Please make sure you wear loose clothing and socks, and this would be tailored to your flexibility and needs accordingly. The following group of massages are softer in pressure, following a flowing routine of massage strokes, in order to relax and revive tied and stress bodies, minds and spirit. Ideal for your monthly treat. Some of them are fully clothes and others works on specific areas like thai foot massage and indian head. All can be performed on a weekly or monthly basis for total well being for the body, mind and spirit. Please contact me to discuss if unsure what you need. massage to the body which causes a analgeasic effect allowing me to work deeply in the soft tissues with no discomfort. If you like heat this is the most luxurious massage and you will leave totally relaxed. Always bring something warm to wear after as you will feel the cold when you leave all year round. Traditional Thai foot massage which dates back over 2000 years and is still practised by buddhist monks today; uses a Thai foot stick to stimulate reflex points on the feet and incorporates massage and stretching to the legs and feet, working on ‘Sen Lines’. Totally relaxing whole body experience, if your like your feet being treated you will love this treatment which can be beneficial on a weekly or monthly basis to deal with lifes challenges and for general well being. A traditional massage using herbal compresses to massage the body which have been steamed so the client benefits from the release of the aromatics aswell. This Massage involves working the soft tissue of the body, to ease day-to-day stresses and muscular tension, to promote relaxation. It can help to increase delivery of blood and oxygen to the treated areas and can also be used in support of other therapies to assist in the rehabilitation of muscular injuries. This massage can be tailored as required to work on the back only or to do legs only or full body. This is a traditional korean therapy which is performed on the hand and arm, where hand reflexology and oriental presuure points are worked along with tradtional korean massage techniques to the hand and arm to bring about a fully body holistic treatment bringing harmony to mind, body and spirit. Wear short sleeve and get comfortable and let me massage away those stresses and strains using therapeutic oils or lotions creating a lovely relaxing treatment. Ideal for a treat if you dont like body massage or for tied hands and arms after decorating or gardening. This Traditional massage is performed upon a chair in a seated upright position and can be done over clothes or on skin using traditional oils. It is a extremely effective therapy that has evolved from traditional techniques and practiced in India as part of family rituals for over a thousand years. I work upon the upper back, shoulders, upper arms, neck, scalp and finishing with the face. Chakras are balanced and Energy healing are traditionally given while receiving a Indian Head. Can help with acute & chronic neck and shoulder stiffness and RSI, but conditions like earache, eye strain, tinnitus, jaw problems, headaches, insomia, sinussitus, scalp tension, even dandruff etc, but further can assist with emotional benefits like stress, increase alertness and concentration, balance energy chakras and release stagnant energy. SO a true holistic therapy working on the body, mind and spirit. Seated acupressure chair massage (also known as on-site massage) is popular for the village fete, show and workplace massage as performed over clothes on a chair with no oil used. This oriental quick, dynamic and destressing massage uses shiatsu and anma techniques, working on the meridian lines and acupressure points to stimulate well being and chi flow, through out the whole of the body, mind and spirit. The treatment length can be extended or shortened as required( for the workplace or fete, a 10 to 15 minute massage is ideal).